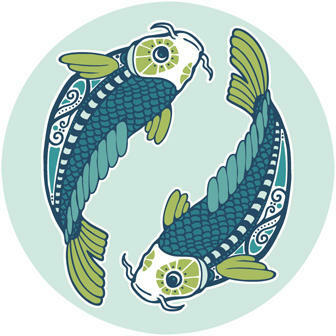 Pisces (sign ♓) share empathy, are good listeners, and cooperative. They are not fearful, but they appear defending and self-defending. Pisces are brave and have a thick skin. When other people are in despair and give up – they have enough endurance. This zodiac sign supports affectionately. Pisces show their emotionality apparently. Intuition is distinctive, and a kind of sixth sense is working when they look around all their life. By the way, however, this susceptibility works when it might be given an advice – this is not a charity, it is much more the idea to need anything like that soon. Empathy in combination with accuracy let show the detailed look to consider situations. Maybe Pisces should be great at mathematics and numbers, but that is not proved. Pisces are winsome and hilarious – like making jokes about one another. Their sense of humor brings out irony, ambiguity and profound credo. As a soul companion, they want to make sure to talk frankly and consider things from both sides. They need time to give and reflects a lot; so they appear rather dogmatic and smart aleck. From time to time it changes, and they could be reticent and listen. Maybe that shows why they are empathic like they are. Pisces try to make it tidy – in contrary to volatilized things. They have a significant portion of curiosity and want to know almost everything – they don't give up before they experience. 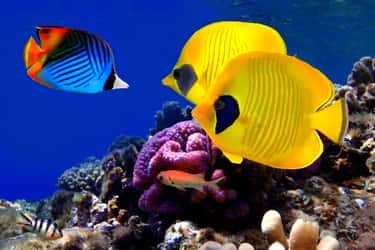 Pisces love possession and money as well – partly as a guarantee of their living standard. Being alone is not their part – and maybe being together could be considered as a form of self-protection - finally. Social acting and hospitality based on their trust and believe in life. It gains to a friendly and beautiful spirit in a pleasant atmosphere – so that mediates their point of view from giving and taking. idealistic, helpful, devoted, friendly, intuitive, good-natured, mild, trustful, sensitive and beneficial. secretive, labile, restless, discouraged, immoderate, uncontrolled, adventurous, extravagant, weak, calculating and wasteful.